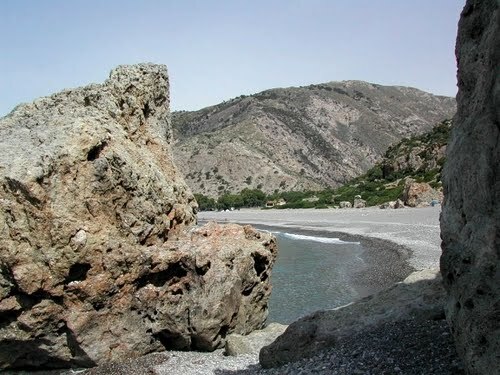 We go to Sougia with the intention of using it only as a base to hike the Samaria Gorge, having read that as a place it does not have much to offer. Instead we stayed four days and we left with a feeling of melancholy… the feeling of freedom I had in Sougia was something long forgotten to me. 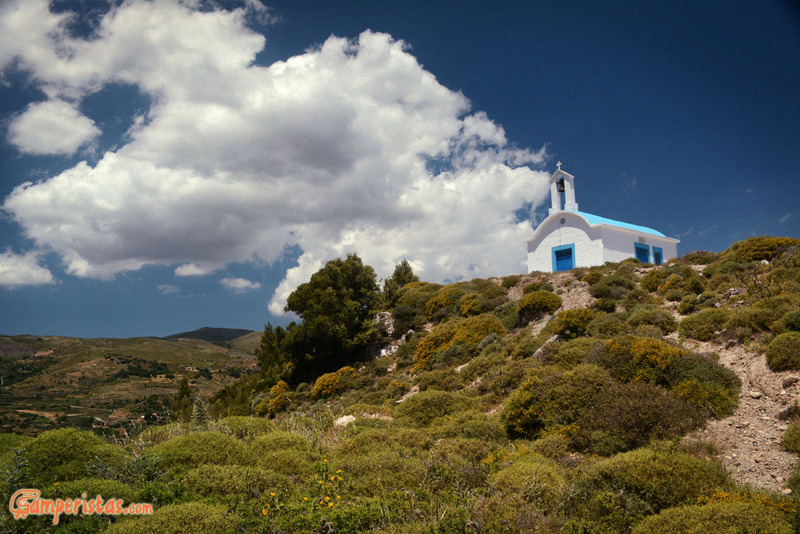 The road to get to Sougia is quite spectacular, it follows from inside a gorge and is a good introduction to what will be the landscape in the coming days, just before reaching the sea, we see the church of the next photo, and I realize that unlike most other islands, in Crete there are many monasteries, but very few churches. 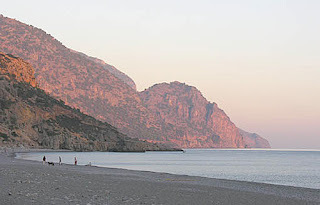 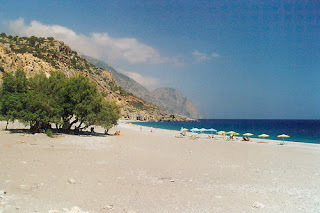 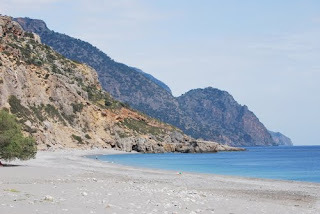 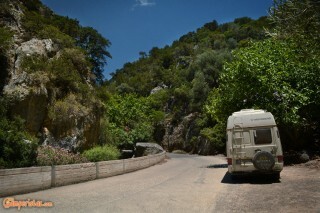 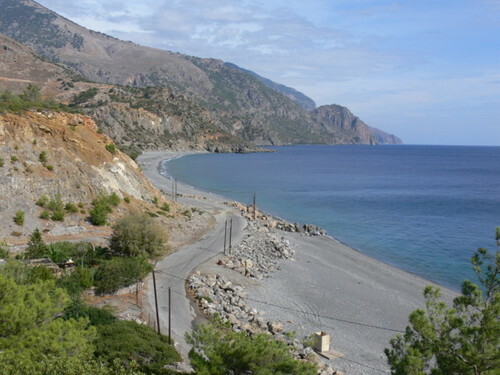 When we arrive at Sougia, we first turn right on the sea road with our campervan, toward the dock. The village is practically only a handful of tavernas and small bars, plus a couple of little shops and rooms for rent. The beach is very large, but nothing special. 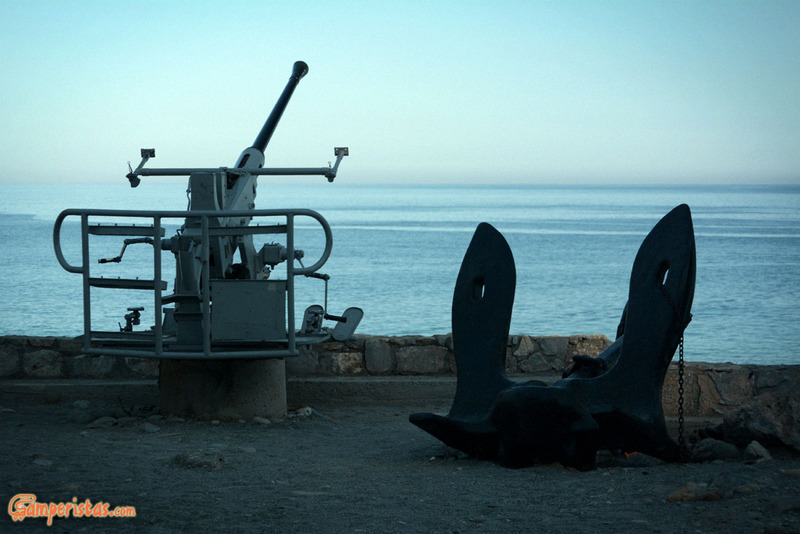 The antiaircraft on the waterfront does not make the place very hospitable. We turn back and get to the other end of the beach [35.24879,23.81502], to what is called the ‘Bay of Pigs’ here … I do not know why, I felt right in my environment! 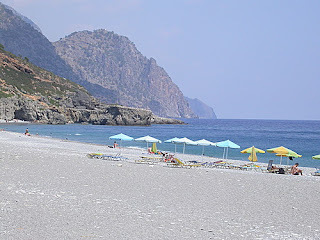 Tents, motorhomes, adults, children, old people running naked, dressed in a bathing suit, each to their own. 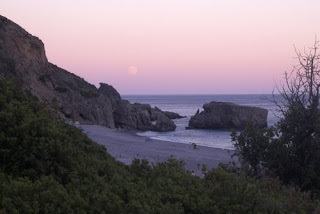 The feeling of absolute freedom, in full respect of the other: no unnecessary noise, everything spot clean.